One of the most gruesome sides of World War II was the existence of concentration camps. Although they are usually associated with Germany or Poland, many were also located in the former Yugoslavia. Just like in all other camps, the exact number of victims is unknown. Nevertheless, it’s very important to remember the agony of all those affected as an important part of Yugoslav history and history of mankind in general. This was the cruelest and longest lasting concentration camp in Yugoslavia. Located on the territory of NDH (Independent State of Croatia – a Nazi-puppet state), the camp complex consisted of five facilities, which made it one of the largest camps in Europe. The number of victims is anywhere between 100,000 and close to a million. The majority were Serbs, followed by Jewish and Roma people. Jasenovac was in many aspects more severe than the typical Nazi death camps. According to the witnesses and survivors, it was more terrifying in terms of brutality than many of its German counterparts. Other than the standard starvation, forced labor and exposure to illness, the inmates dealt with a lack of potable water, and were forces to drink it from a lake close to the open latrines. Since most of the victims were Serbs, the Ustaše militia named a knife they used for killing them “Srbosjek” (“Serb-cutter”). The inmates were also gassed or cremated alive. The fact that separates Jasenovac as the worst camp in Yugoslav history is that a section located in Sisak was the only concentration camp for children in Europe. Created for “upbringing and re-education”, it was the place of painful death for thousands of kids. They were treated with just as much cruelty as the adults. In April of 1945, the Partisan Resistance Movement under the command of Josip Broz Tito approached Jasenovac and caused a rebellion of the prisoners. Only a few survived and the Ustaše tried to erase traces of the camp’s existence. However, in the following months, the camp ceased to exist thanks to the Partisans. Today, there’s a memorial museum on the site, but it’s often criticized. The victims think that the severity of the treatment and the punishments wasn’t represented properly. 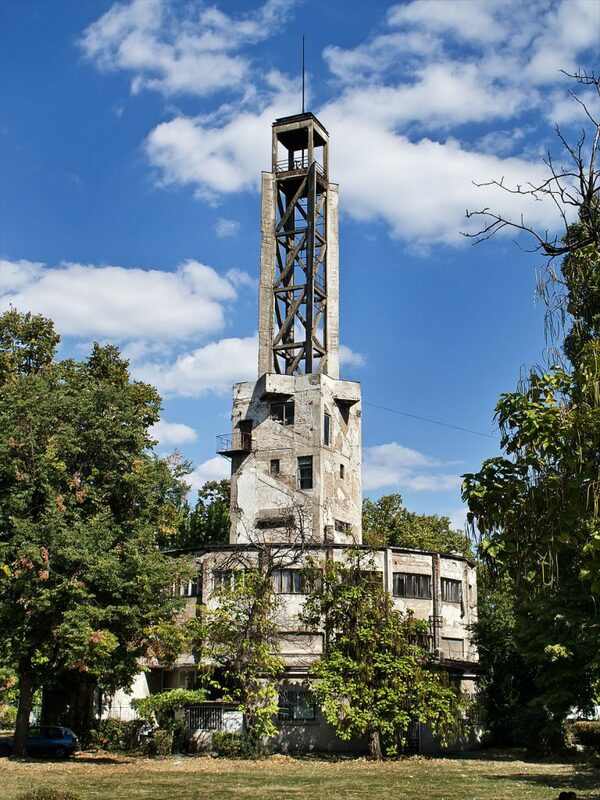 Since December 1941, the Staro Sajmište camp in Belgrade was the place of death of around 50,000 people. This part of the Yugoslav capital was occupied by the Independent State of Croatia at the time. At first, Sajmište was just supposed to be a place of sojourn for Jewish and Roma people primarily, until they’re transferred east, but it evolved to be an extermination camp. In 1942, the local Nazi administration realized that things weren’t going according to plan when it comes to the transportation of inmates. Since liberation wasn’t an option, they started killing them. The Germans used a gas van to murder the victims, a method which was often used among Nazis. A gas van is a vehicle with an air-tight compartment for the victims, into which exhaust fumes were transmitted while the engine was running. After 1942, the camp also held Serbian Chetniks and Partisans as prisoners, as well as Serbian peasants from the villages controlled by the Croatian Ustaše. At this point, many started comparing the conditions in Sajmište to those in Jasenovac, mainly because many people froze to death. The Allies ended up bombing the camp in 1944, which resulted in its closing. Most of the Germans responsible for the horrors were brought to trial and later executed. There are plans in development to build a memorial center on the former campgrounds. However, since 1995, there’s a monument on the banks of Sava river dedicated to those who lost their life in Sajmište. The Banjica camp was located in Belgrade, in the neighborhood of Dedinje. Founded by the Gestapo, it received its first prisoners in July of 1941. Just like the Sajmište camp, Banjica was visible to the residents of Belgrade, so that it would scare and warn them of the consequences of their behavior. Other than Gestapo, many think that one of the main culprits was also Milan Nedić, prime minister of the Nazi-installed Serbian puppet government. Even though he wasn’t directly present in the camp administration, he listened to Nazi orders and did nothing to stop them. Nedić was later charged with treason, but he committed suicide before he served his sentence. The majority of the inmates weren’t Jews, but Serbs. Mostly anti-fascists, communists, those who didn’t accept Nedić’s government but also common people. Most inmates were shot in the Jajinci village, the biggest place of execution on the territory of occupied Serbia. Even though there aren’t any official numbers, it’s estimated that around 80,000 people lost their lives here. The Banjica memorial museum is worth visiting, since it’s accurate in representation of the torture the inmates went through. 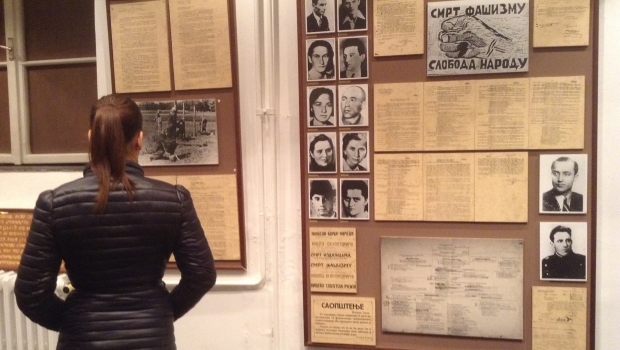 You can see replicas of rooms where the victims were once kept. Also,it contains hundreds of photos, inmates’ personal belongings, drawings and letters, as well as their names and identities. Like many others, the Crveni krst camp in Niš (Serbia) was originally a transit camp, but it became a concentration camp. The first prisoners were Jewish, followed by people of various ideologies and religions, who were there because they were randomly selected for revenge. During a relatively short period of time, 35,000 people were held here. 10,000 were brutally killed on Mount Bubanj. Since Germans destroyed the documents which carried evidence of the exact number of victims, only 1910 of their names are known today. Inmates were sorted into categories. The first category consisted of people who were to be killed first if Germans wanted to send a message. Jews were in the second category, the third consisted of people who were suspected of cooperating with the Partisans and the fourth of those who were thought to be Chetnik allies. The last category was made of only foreigners who were members of resistance movements in their countries. This was the smallest category and none of them were killed, since Germans didn’t want to break the Geneva Conventions. What separates this camp from all others in Europe is the fact that in 1942, around 150 inmates made an organized attempt to escape. Without any weapons, they tried to overpower the guards and killed 11 of them. Over a hundred succeeded, but because of the German policy to kill 100 hostages for each killed German soldier, 1,100 people were killed in return. After that event, the security in the camp was much stricter, with bars on all windows, as well as more guards. This is one of the rare preserved camps. You can still see the rooms prisoners lived in, the solitary confinements with barbed wire instead of beds, messages that were written on the walls right before their death. The experience is accompanied by the eerie sound of warning sirens played from the speakers. Bor was one of the largest camps for forced labor in Europe. Located in eastern Serbia, this town is still famous for its copper mine. Therefore, at the time, it supplied Germany with 50% of its copper, which was strategically very important. There was around 30,000 prisoners and not all of them were from Yugoslavia. Actually, there were thousands of Greek anti-fascists and, after the capitulation of Italy, around 6,000 Italians. Just like in most camps, one part of the prisoners were Jewish. People lived and worked in inhumane conditions; they had no shoes, were skimpily dressed and resided in rooms without windows. The prisoners had no identities and were nothing but numbers. It is of utmost importance that we preserve memories of horrendous acts that occurred and pay homage to its victims and survivors. No matter how difficult it is to face the past, it’s vital to reflect and consider how we can confront discrimination and hatred.